Fabric patch for the Bear Cub Scout program with a safety pin. 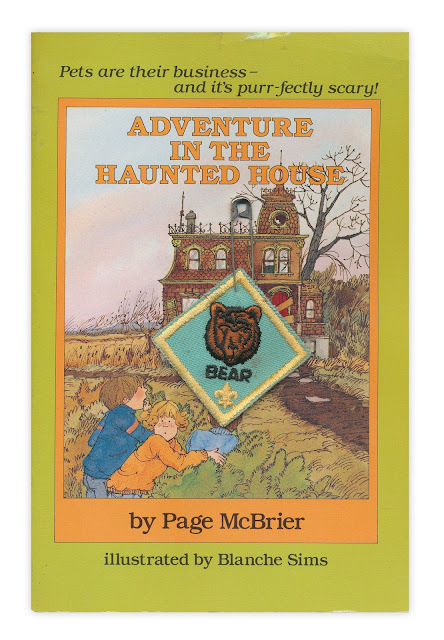 Found in "Adventures in the Haunted House" by Page McBrier. Published by Troll, 1986.